John has instructed PGA, Nationwide, and Hooters™ tour winners. He was hired by David Leadbetter to instruct at the David Leadbetter Junior Golf Academy in Bradenton, Florida, in 1996. 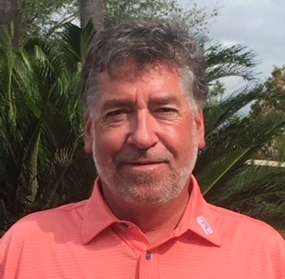 A regular contributor to the popular Bradenton, Florida, television program 'All About Golf' John founded the Missing Link Golf Academy in 2000. Starting in 2012 John Hulbert took on a role as an advisor/consultant to the Guangdong Junior Golf Association in Guangdong China. In 2015 John did business consultanting for the number #1 Quangzhou, Tongtai investment company located in Guangzhou city. In 2017 John assisted in advising the company Bright Futures International China located in Shenzhen, China. Monroe. Both Hulbert children are accomplished swimmers for the USA swim team in Bradenton, Florida. Ian Segneri is an instructor and Missing Link co-founder. Having successfully passed the PGA of America Playing Ability Test in 1998. Ian began his career in the golf industry as Assistant Professional at Hershey Country Club. Ian later moved to Florida to pursue his teaching career where he could teach year round. Shortly after he began his instructional training at a Golf Academy in Naples FLorida. Ian then went on to hone his craft further under the world renowned teacher David Leadbetter. He assisted David personally in Orlando FLorida while getting the opportunity to work with some of the world's best golfers at that time. Ian then spent over a year teaching in Malaga, Spain at a Leadbetter Academy. After returning to the U.S. Ian relocated to Bradenton, Florida to pursue his passion of teaching junior golfers at IMG Academy headquarters. Prior to leaving IMG academy to begin MLGA he held the title of Senior Certified Instructor. Over the years, Ian has given many junior clinics in such places as Canada, Mexico, Spain, Bolivia and Thailand and all over the United States. He has also been the guest speaker at several American Junior Golf Association junior all-star events on various topics and training methods related to junior Golf. Ian has trained numerous first team AJGA All Americans including Paula Creamer who went on to win the U.S. Open and stated on LPGA.com that "Ian Segneri was very influential in my career." Another student that Ian trained from a very early age was Chanin Puntawong, who was also an AJGA All American, Final 4 U.S. junior Amatuer contestant, and in 2003 tied the Asian Tour 18 hole low score record of 11 under par, which still stands today. Danny Walker is another noteworthy student that is currently playing for the University of Virginia and is ranked in the top 100 in the world. Ian's Passion in the game is finding young students, like these players mentioned above and helping them reach their maximum potential. Working as an apprentice at Missing Link since 2003, Peter now is based just outside of Boston, MA and is a PGA Professional. He brings extensive knowledge of the game and business of golf. Working with elite juniors and players of all ages on all facets of the game have made Peter an experienced Professional. Instruction, Club Fitting, Club Repair, and Tournament preparation ensures students are prepared to reach their highest goals. Being Titleist Performance Institute certified, students are constantly screened for dysfunctions in mobility and stability. This prevents injury and optimizes the body for golf based movements.